The new compact version of Samsung’s latest flagship handset comes with NFC on LTE models, but the 3G versions destined for some markets will miss out on contactless technology. All variants of the Samsung Galaxy S4 Mini have Bluetooth 4.0, but the spec sheet makes no mention of the Mobeam barcode technology that is included in the Galaxy S4. 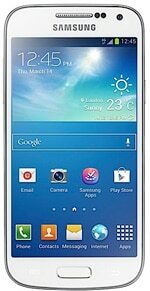 The Galaxy S4 Mini has a 4.3-inch 960 by 540 pixel Super Amoled touchscreen, an 8MP rear camera and runs Android 4.2 Jelly Bean. A 1.7 GHz dual-core processor powers the device. The phone was announced on 30 May 2013 and is available in black and white.